This is vectored by me. I spent around 1 week to finish. I used this scan below to vector it. The scan was a bit hard for me to vector because there are a lot of sakura petals. The colour I use is based on the scan, except the hair colour of both Sakura and Syaoran, the colour is a bit different. this vector is really great! 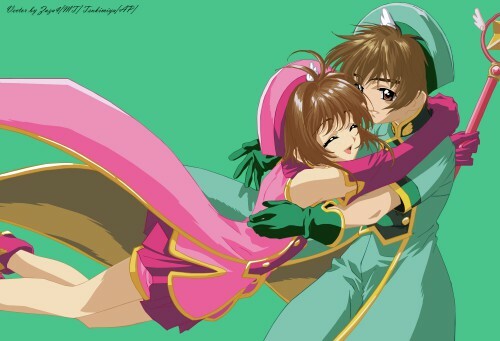 *clap clap* ^__^b I really like Shaoran & Sakura hugging! I used to love this Anime, despite me being too young to understand what was going on. Thanks for sharing! It was nostalgic.